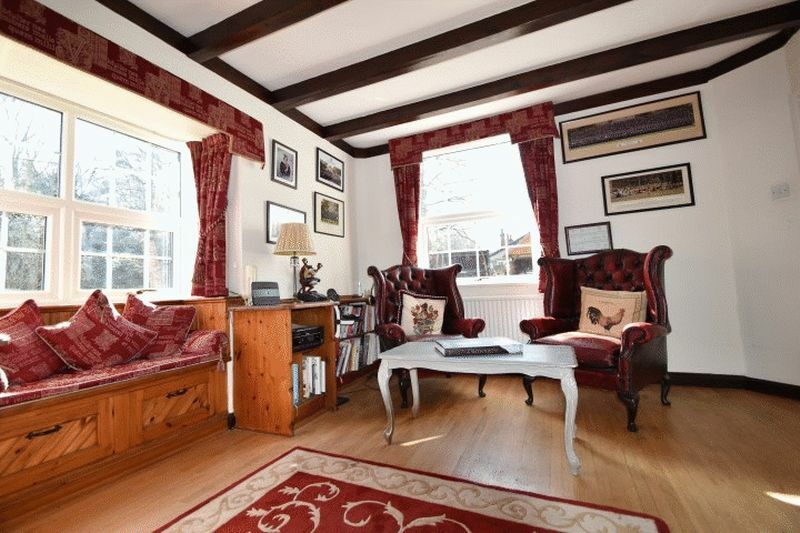 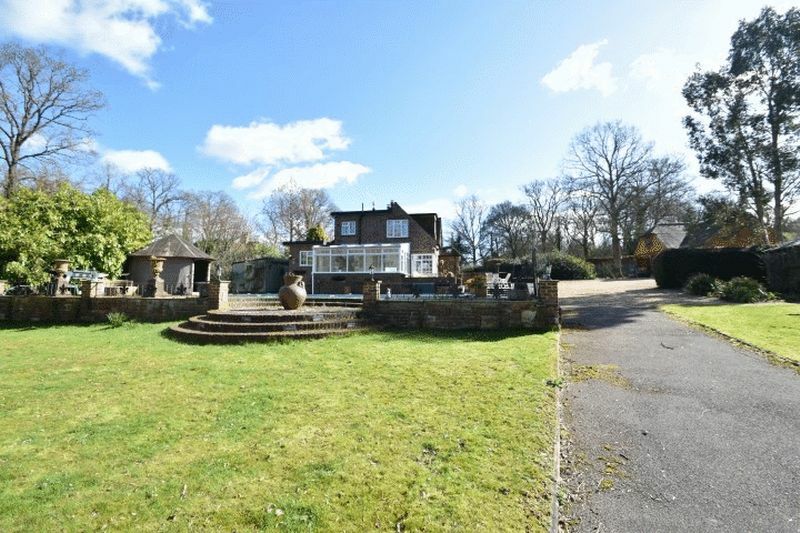 Beautiful four bedroom detached family home situated within the historical village of Hever with stunning views of the surrounding countryside. 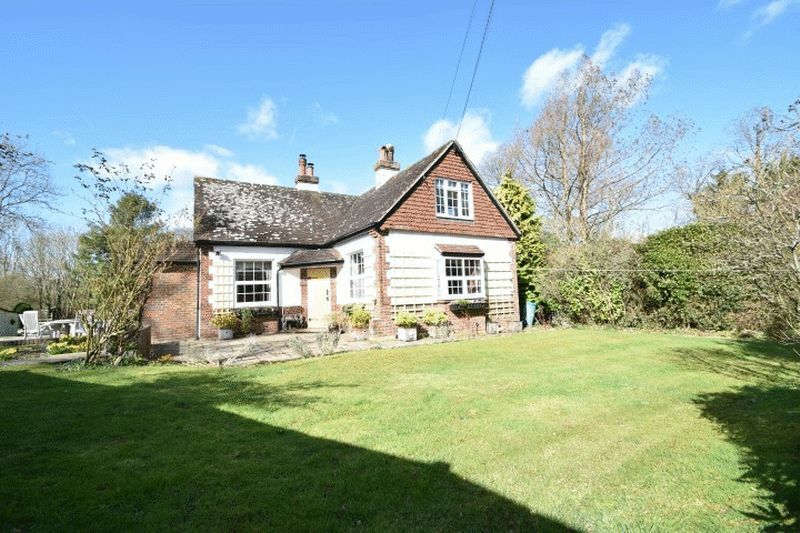 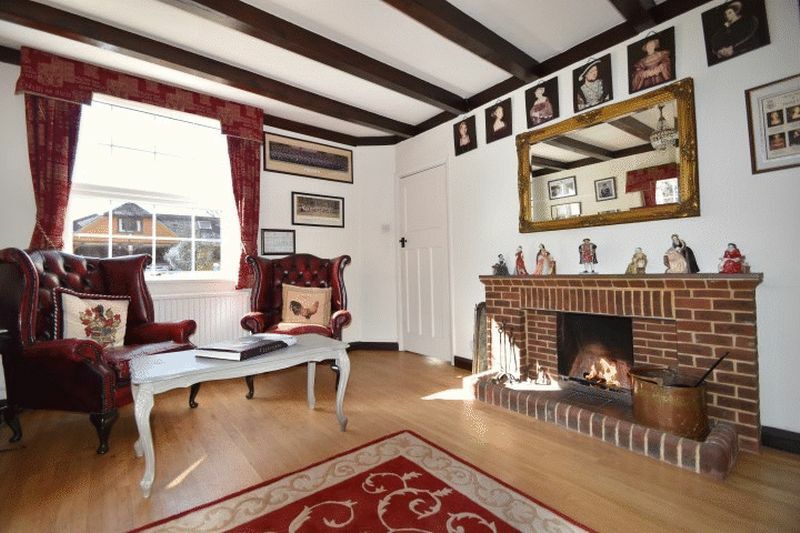 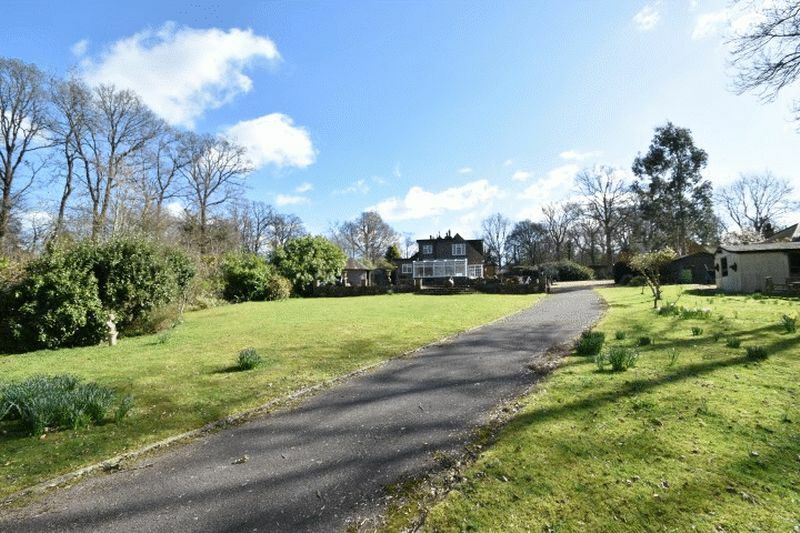 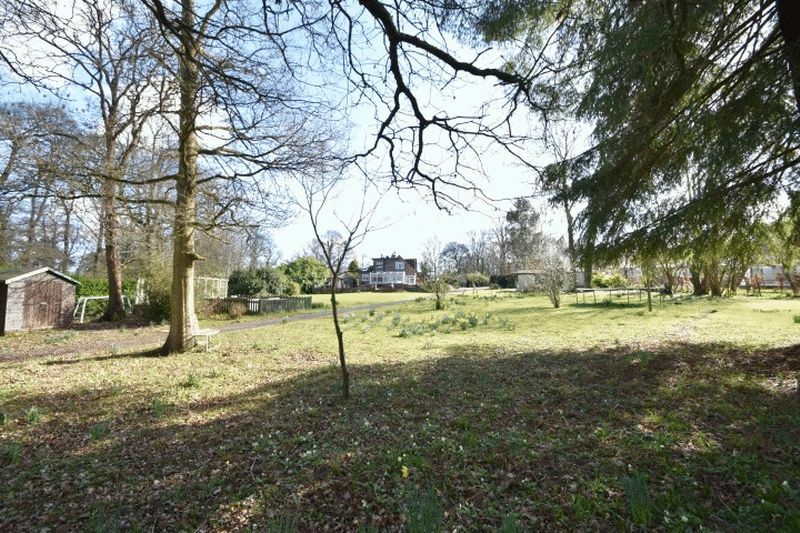 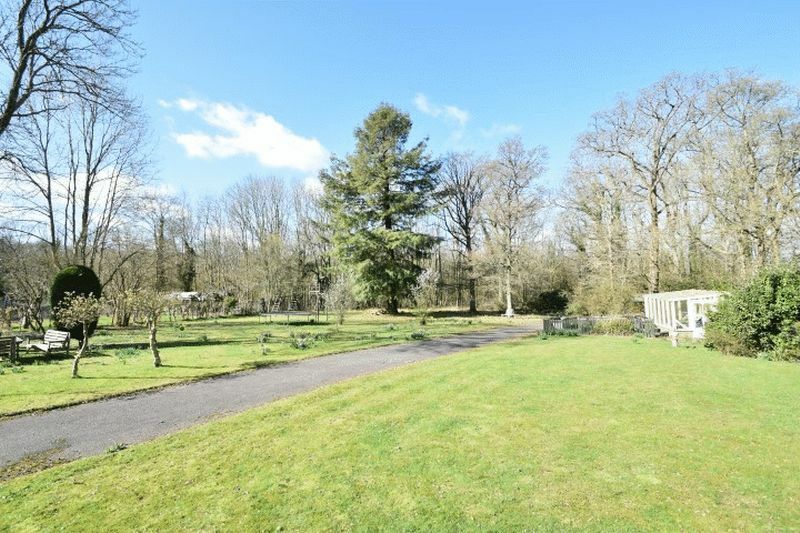 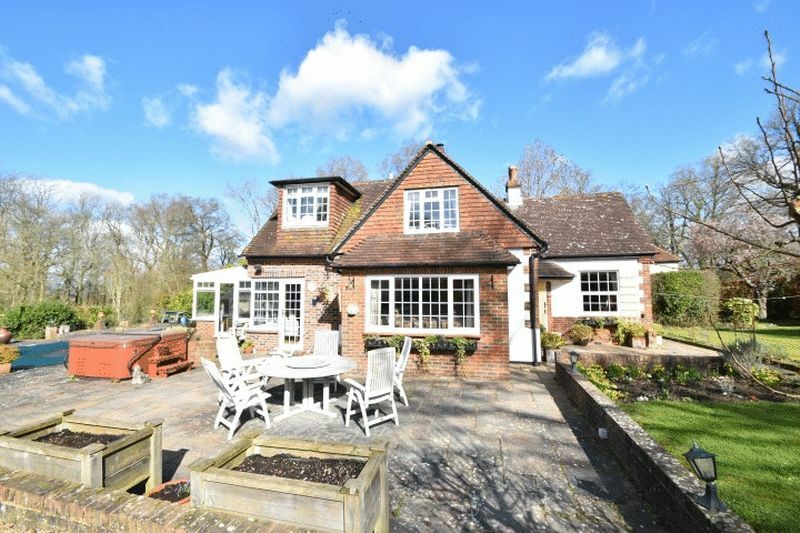 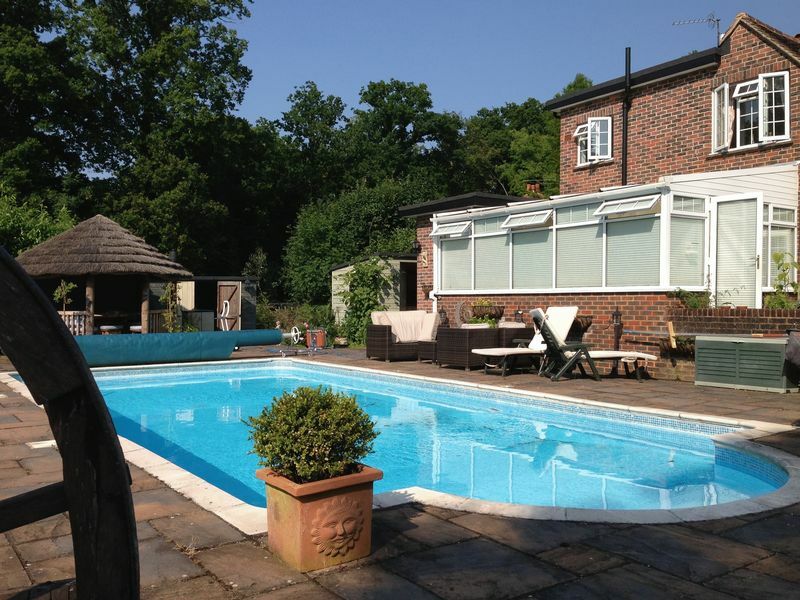 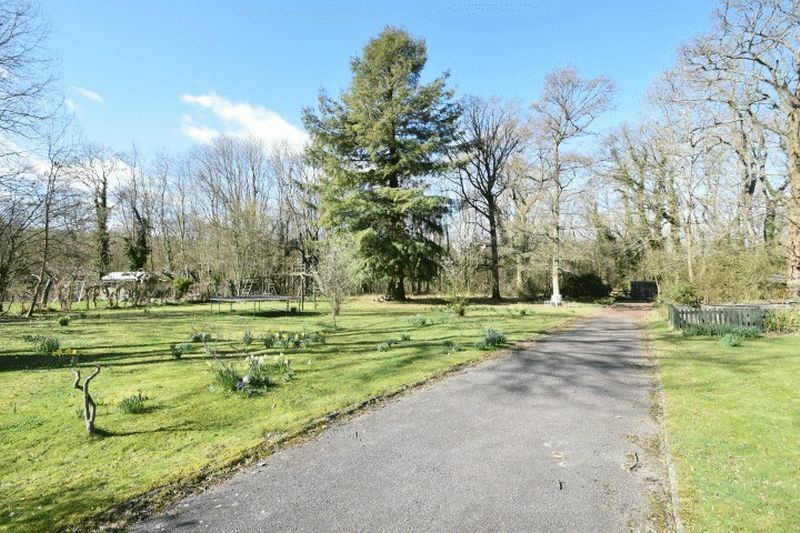 This lovely property is set within a large plot of approximately six acres of gardens and woodland, perfect for a family wanting to escape to the country whilst having good transport links into London. 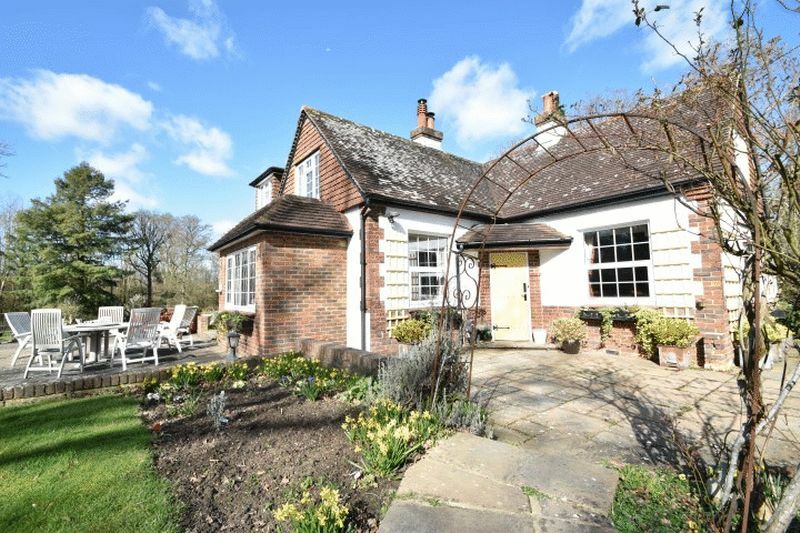 This beautiful home has been elegantly refurbished throughout combining a modern twist with original features to retain the character. 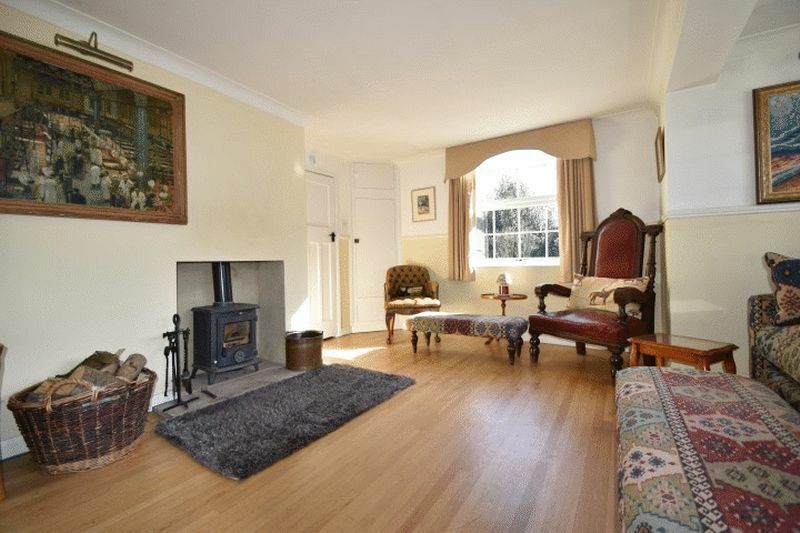 The accommodation includes a spacious triple aspect sitting room with log burning stove and patio door onto the sun terrace. 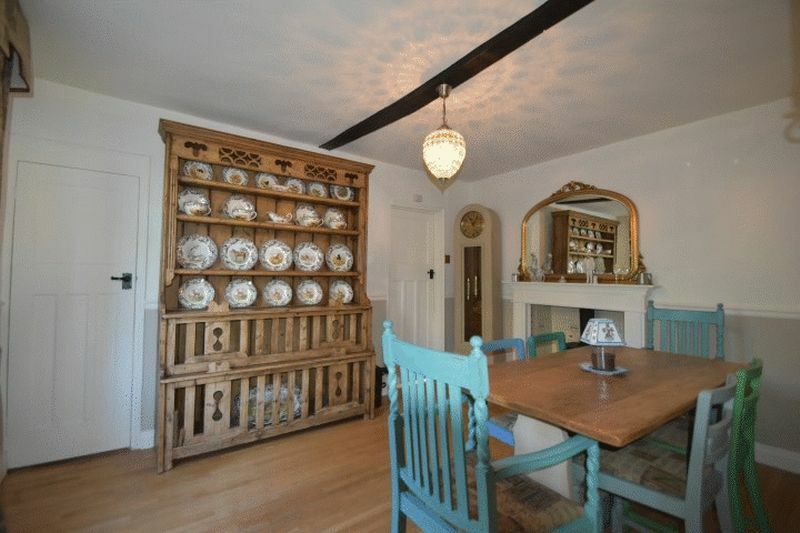 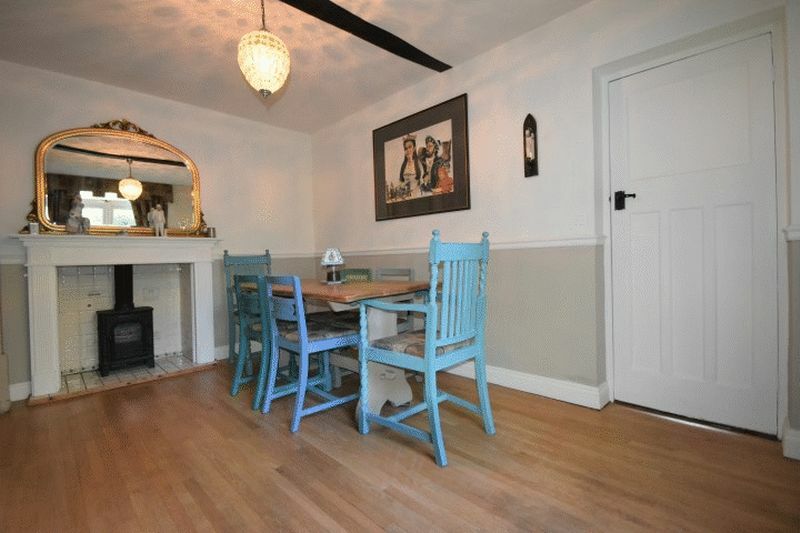 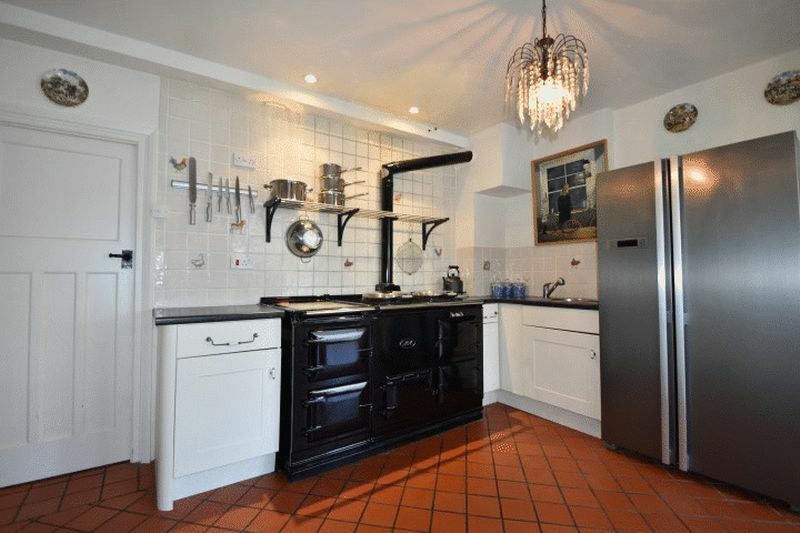 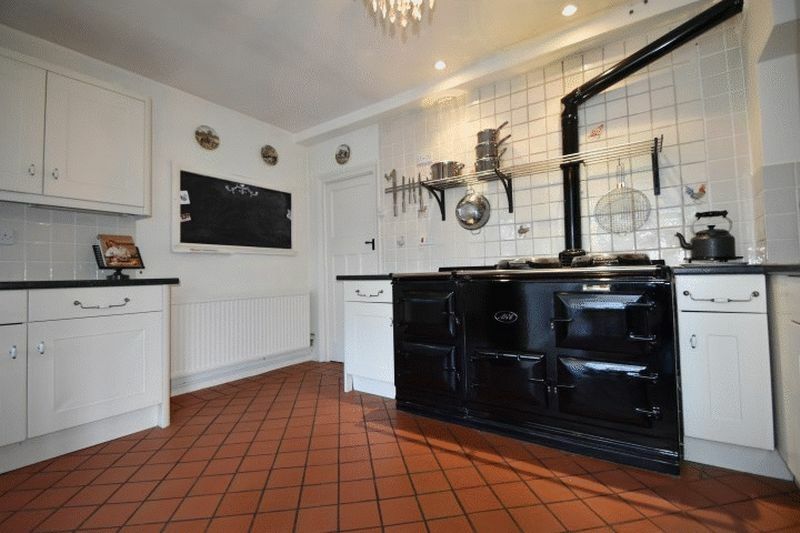 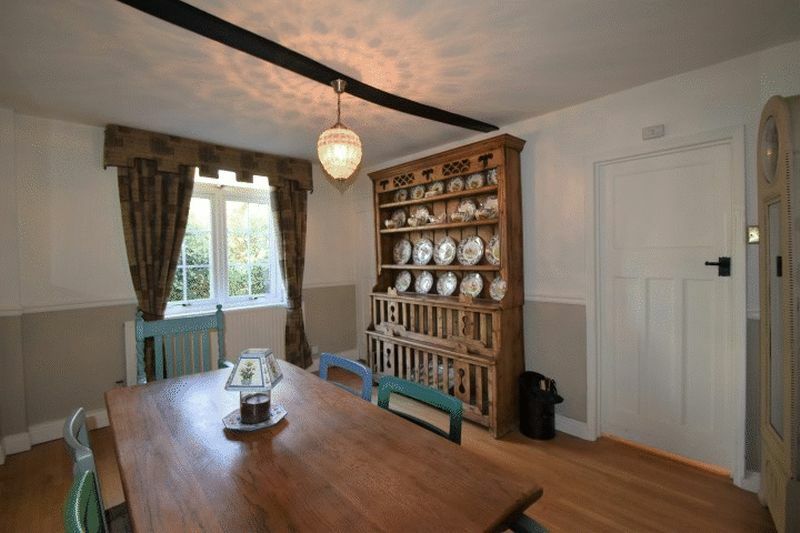 The elegant dining room with log burning stove leads through to a beautiful shaker style kitchen with large AGA. 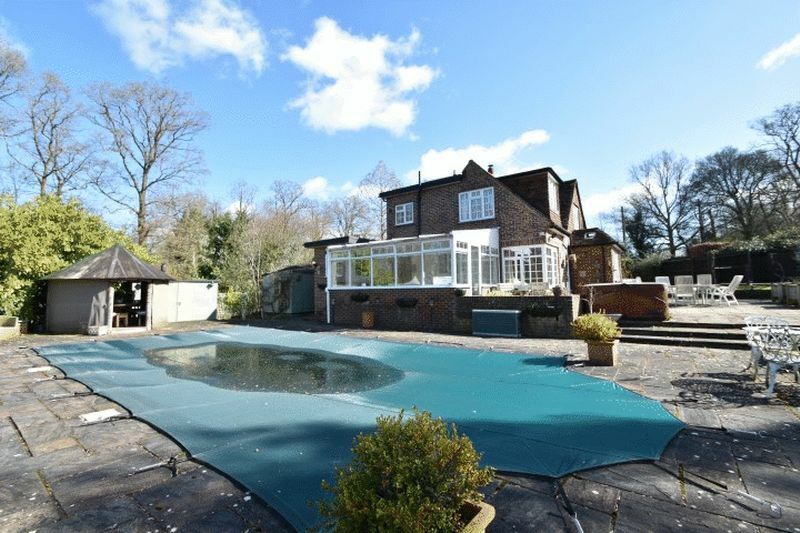 A large conservatory leads from the kitchen and overlooks the swimming pool and grounds beyond. 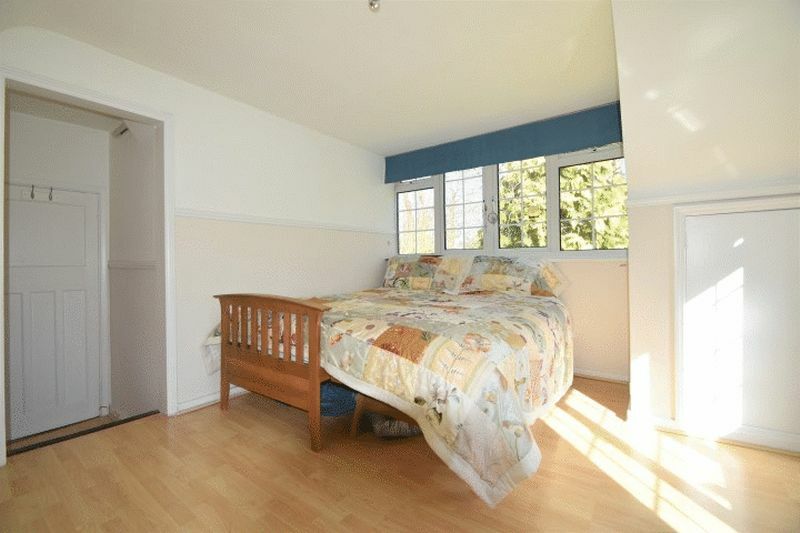 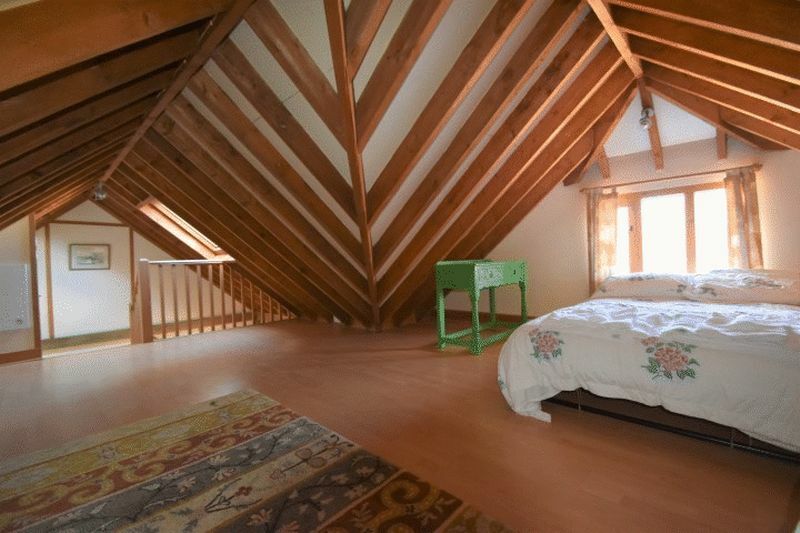 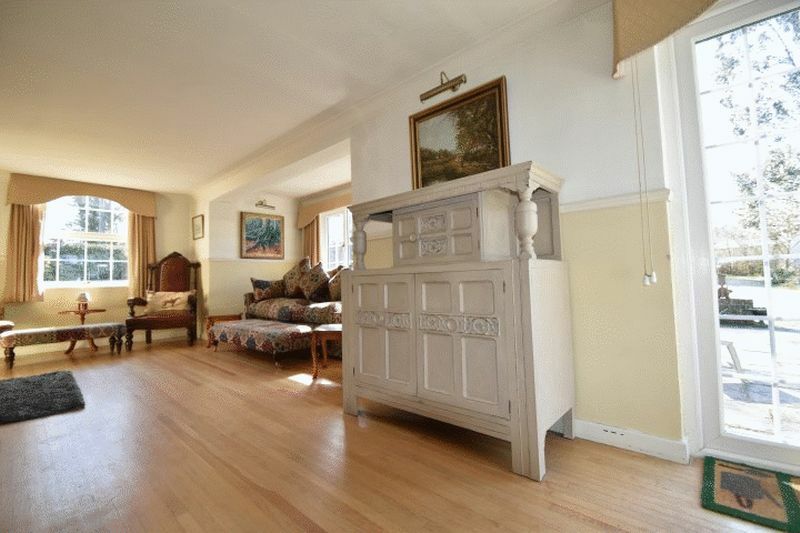 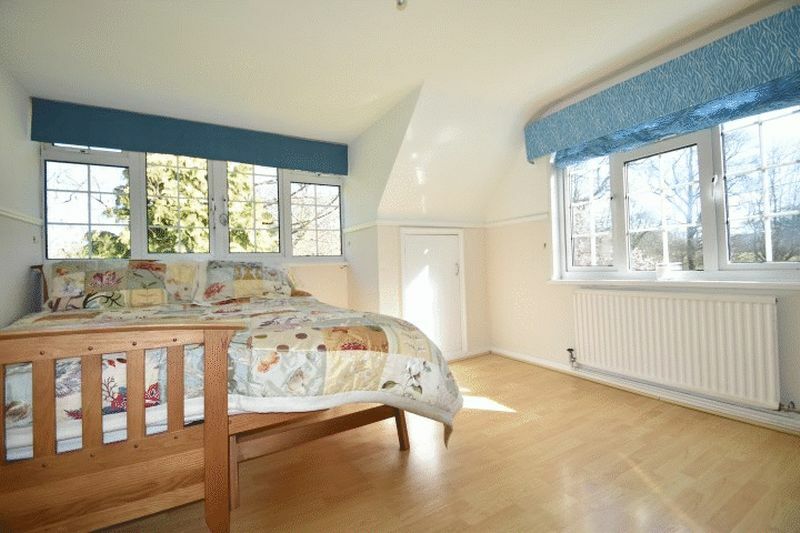 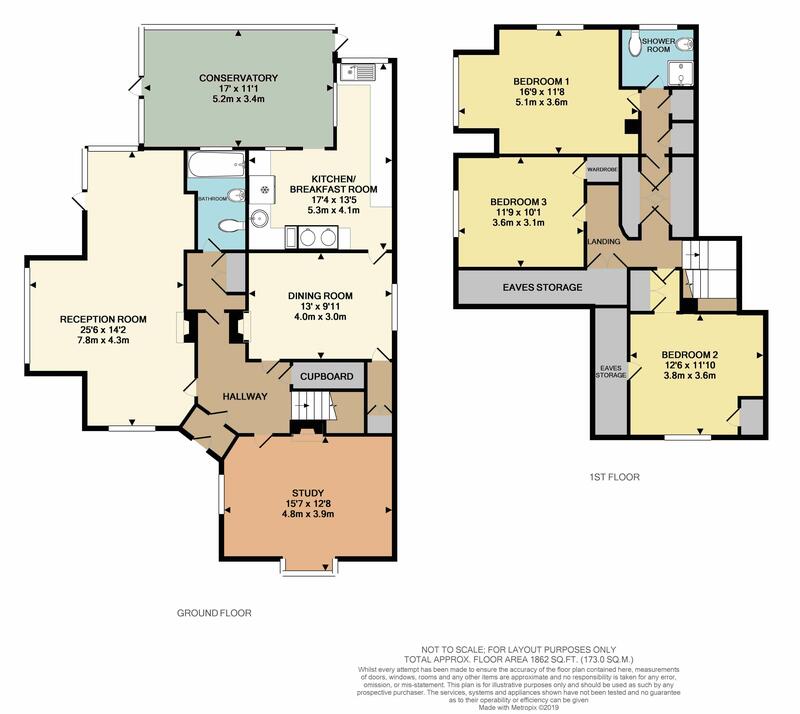 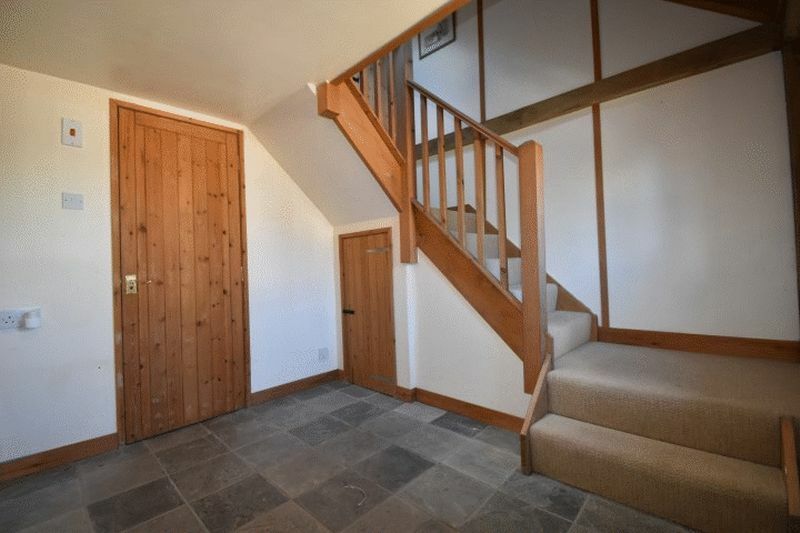 Also on the first floor there is a good size study/ 4th bedroom with open fire and a family bathroom. 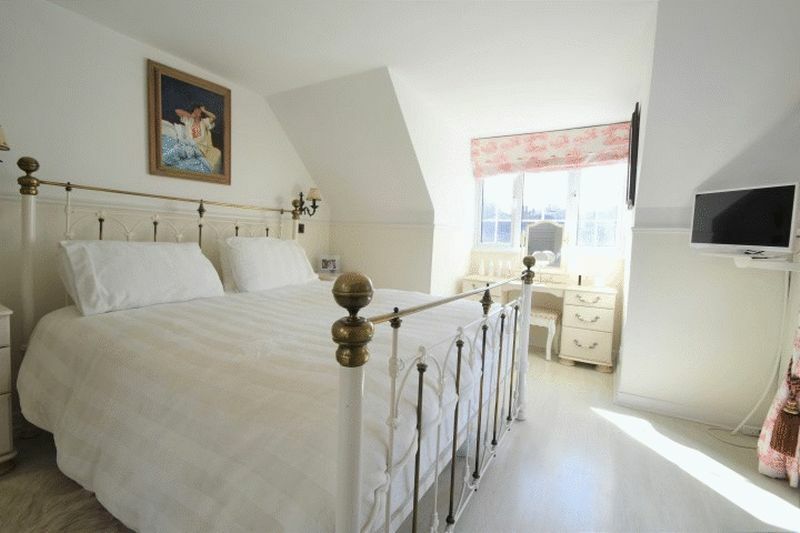 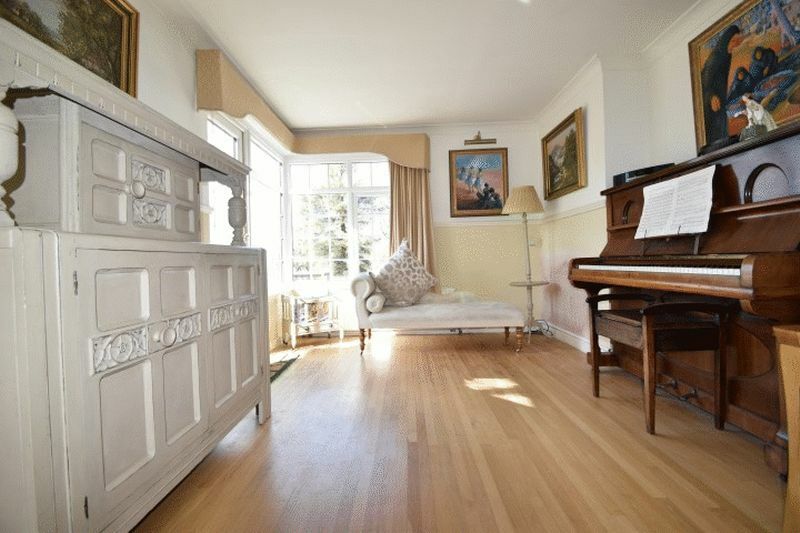 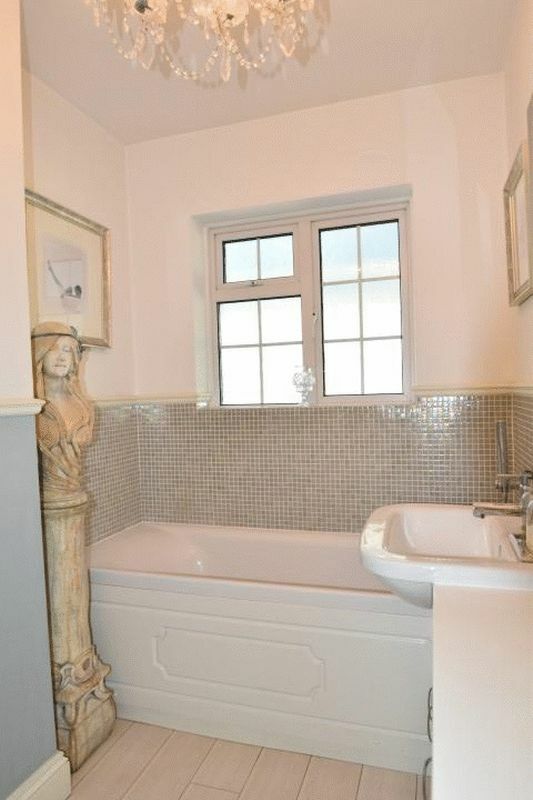 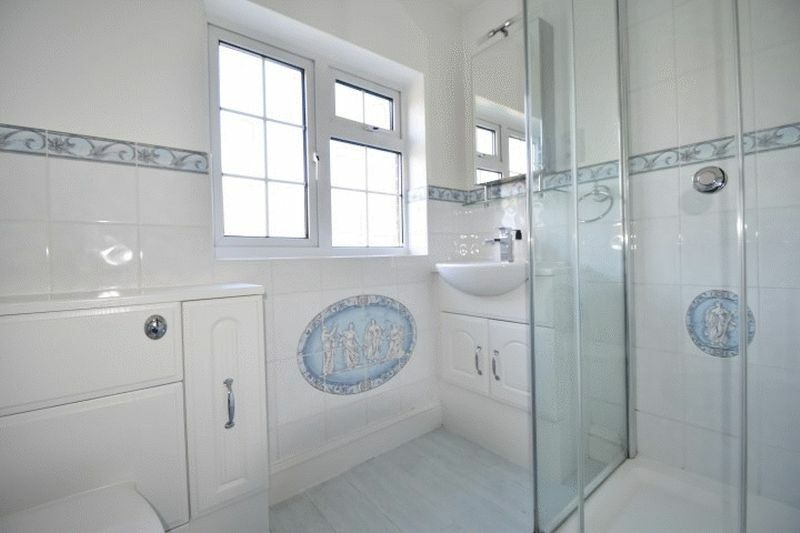 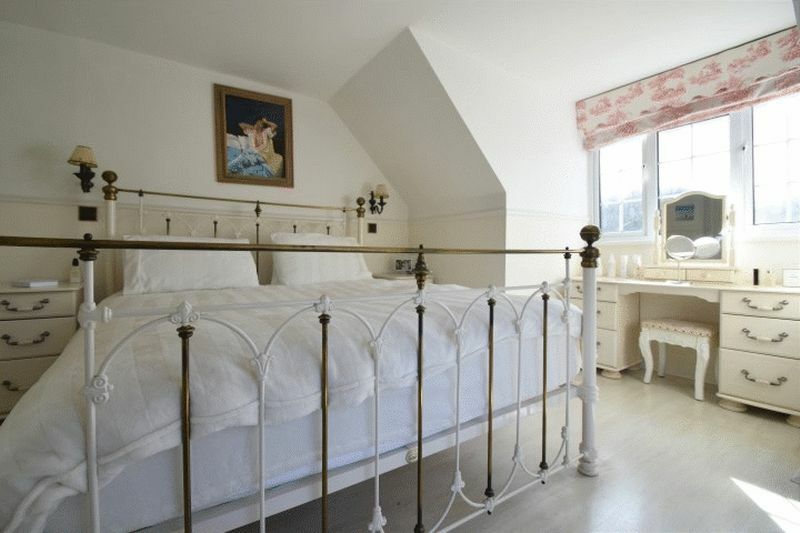 To the first floor there are three double bedrooms and a modern shower room. 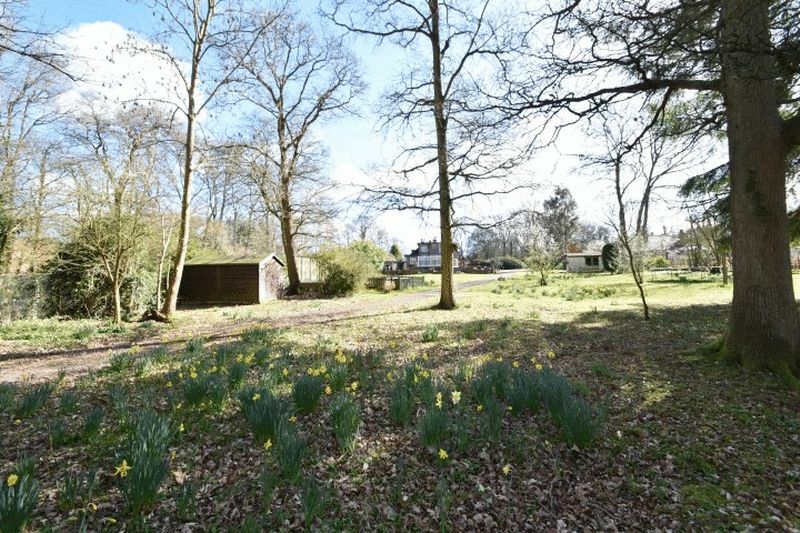 To the outside electric gates take you onto a long gravel drive which leads down to the woodland. 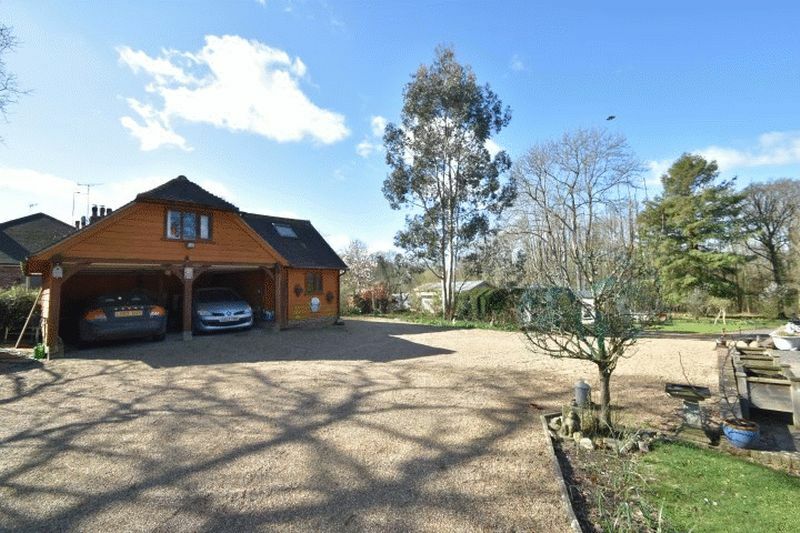 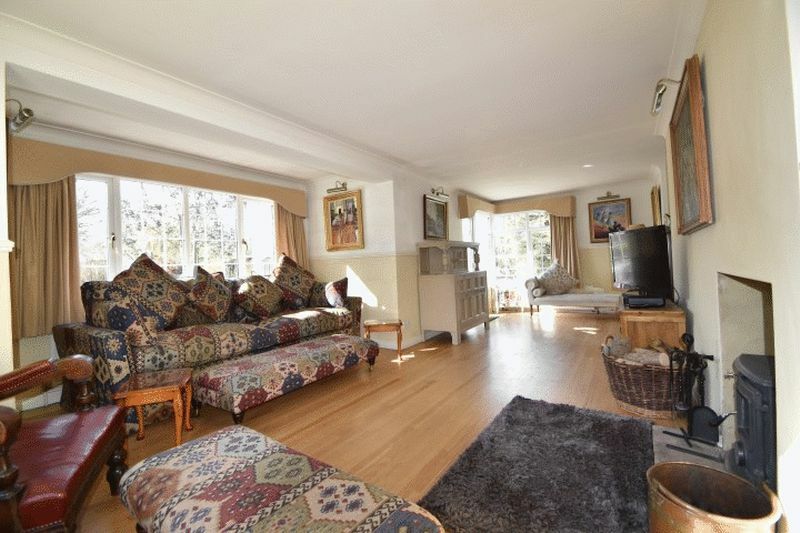 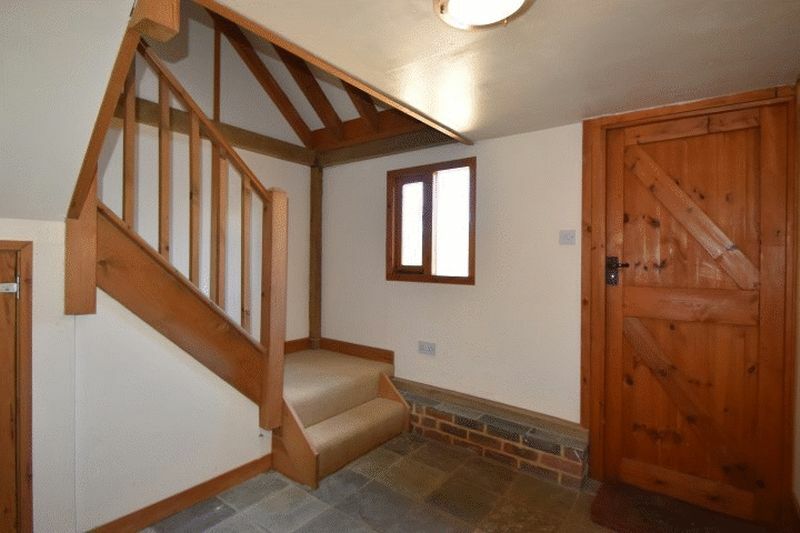 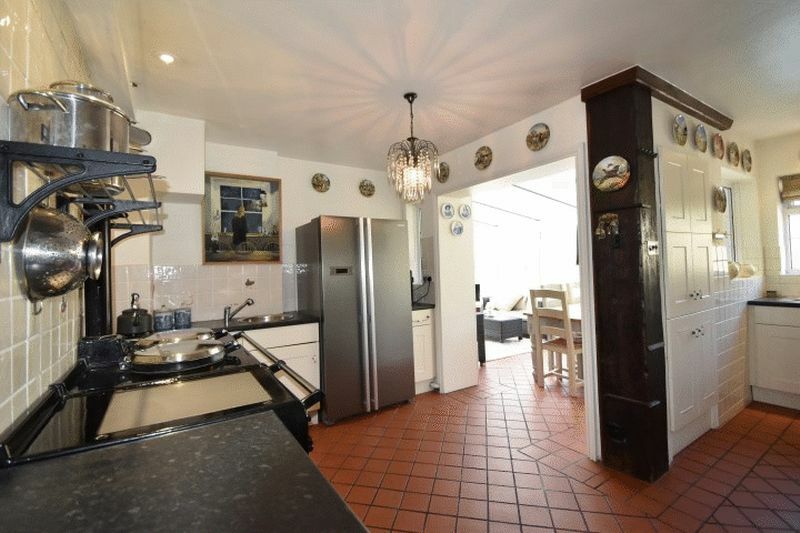 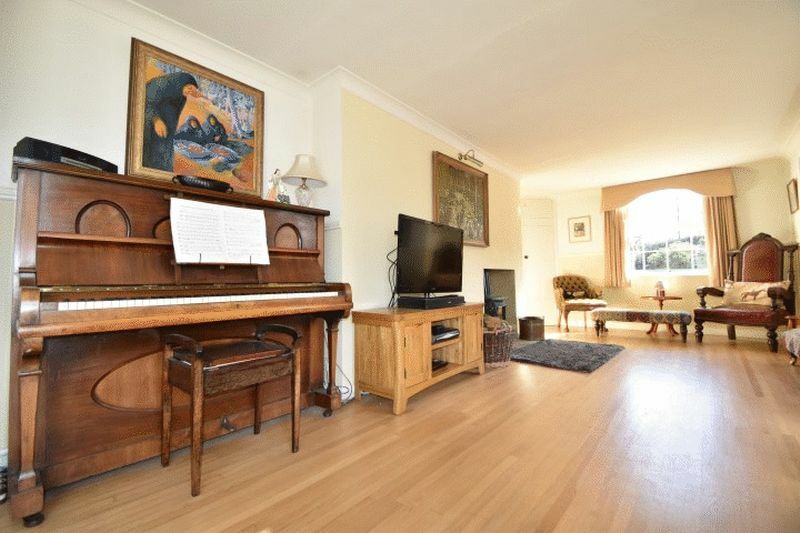 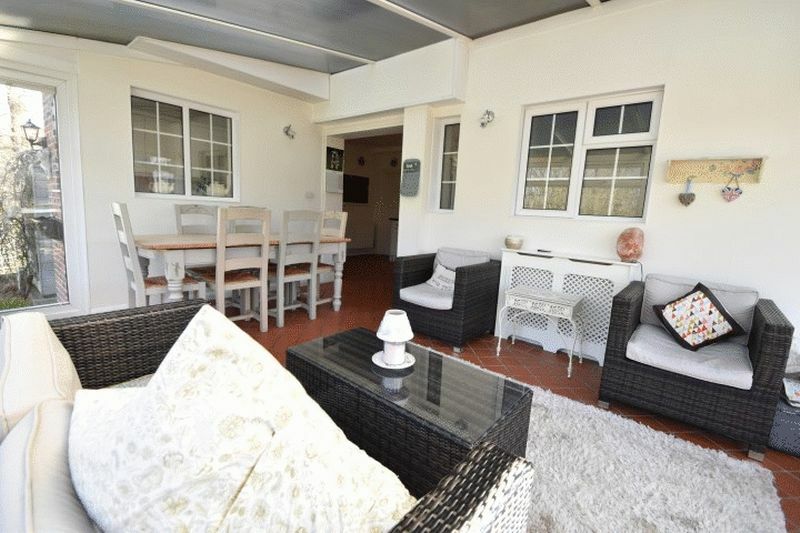 The driveway has parking for several cars and a car port with a one bedroom annexe attached. 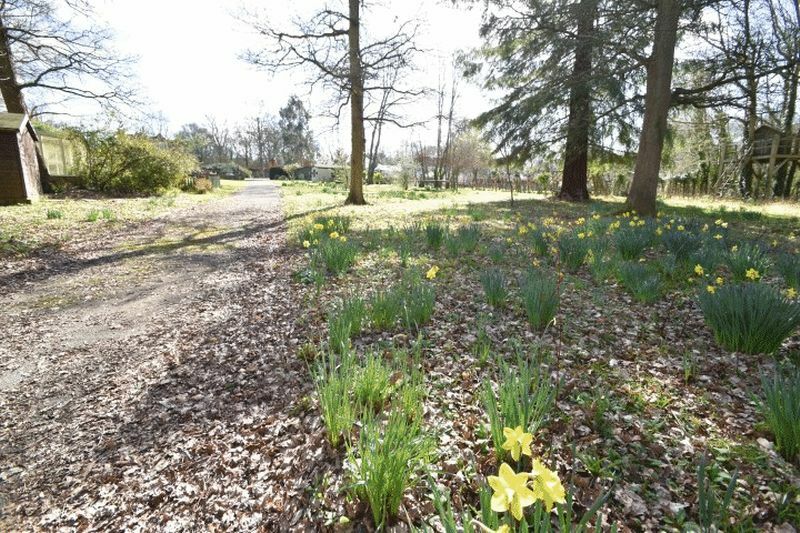 The gardens are beautifully maintained with neat lawns and a wonderful selection of plants and flowers. 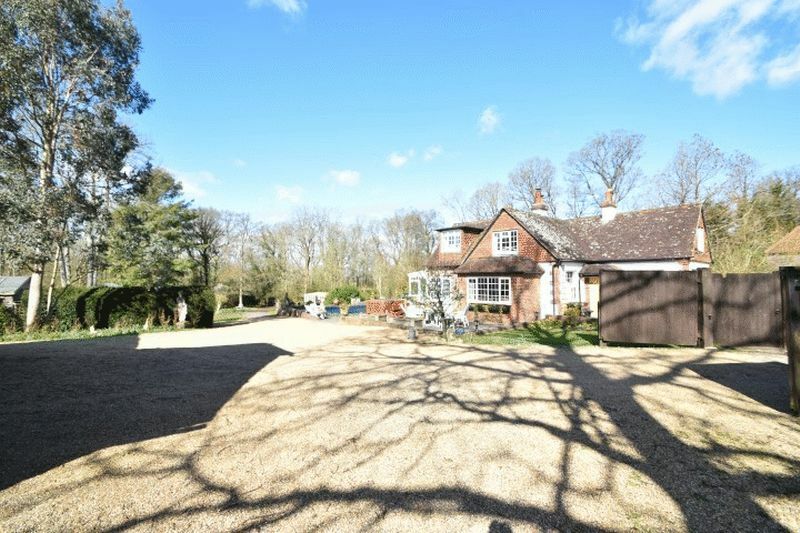 There is a large sun terrace with swimming pool (which is in need of some attention) plus various outbuildings with power. 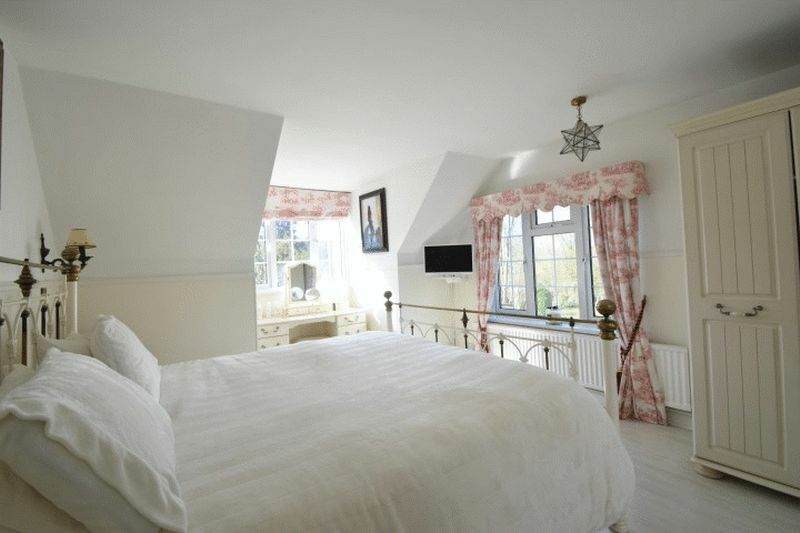 The property is located in the Historic village of Hever, famous for its Castle and its historical connections with Anne Boleyn, second wife of King Henry the VIII and mother of Elizabeth I of England. 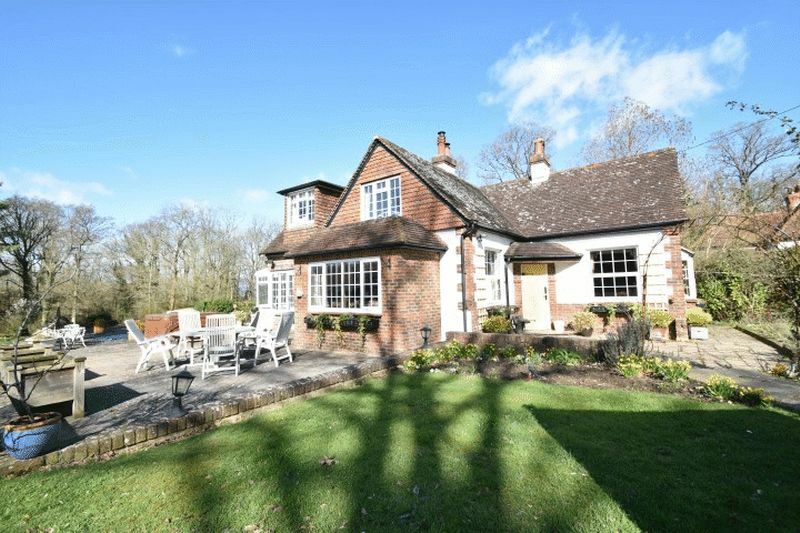 Hever Village offers a range of local public houses and a primary school and is surrounded by beautiful open countryside ideal for walking, riding and other recreational activities including golf at Hever Golf Course. 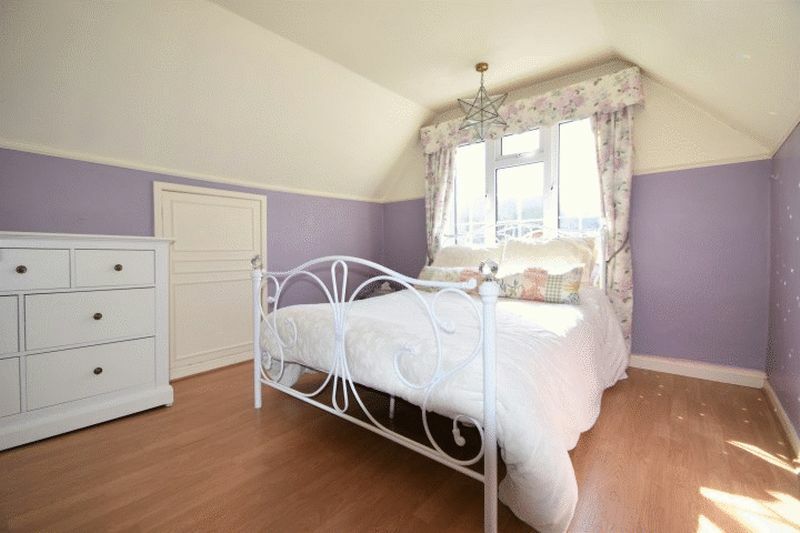 Edenbridge Town Centre provides a more comprehensive range of shopping and sports facilities. 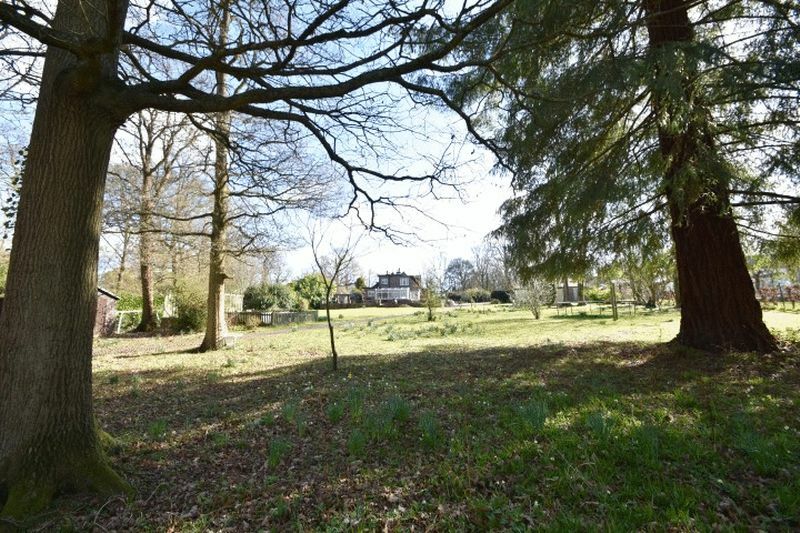 Hever has its own train station and mainline train services can be found at Edenbridge (approximately 2½ miles) and Royal Tunbridge Wells (approximately 8 miles ). 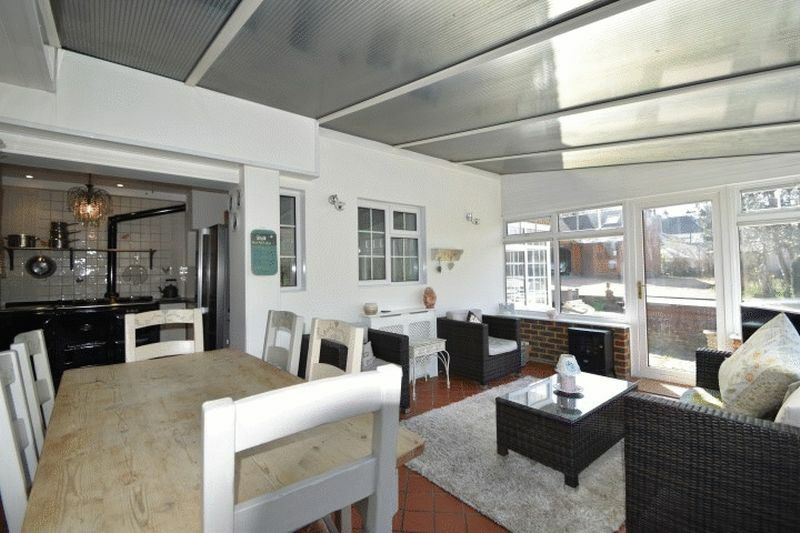 The M25 access at Riverhead, Sevenoaks is approximately 10 miles.